You see the offers everywhere, free duffel bag for signing up for this credit card, free water bottle, campus gear and sometimes even free money. Before you go signing on the dotted line, find out what you’re really signing up for. If you’re serious about considering a credit card, find out what kind of card it is. Not all plastics are created equal, find the one that’s right for you before signing up for anything. *What kind of card is it? * *Charge Cards* –This type of card requires the card-holder to pay in full every month and it doesn't have a preset limit. Purchases on a charge card are approved based on spending and payment history, financial resources and credit record. There is no interest rate or minimum payment on these cards, since their balance must be paid in full. This differs from a credit card, which allows its users to carry a balance and has an interest rate. *Secured Credit Cards* – Under this card the card-holder deposits funds with a bank or financial institution. The lender allows the card-holder to make purchases using the card from 90% to 150% of the amount deposited. This type of card allows individuals with poor credit to have the convenience of a credit card while maintaining a source of money that the card will be paid from. *Premium Credit Cards* – Often the infamous cards of the stars these credit cards go by names such as “gold” “platinum” and “black” and offer incentives and benefits such as cash back, reward points and travel upgrades to their card-holders. Premium cards require a minimum income and have an annual fee. The Visa black card (made with carbon) will cost you $495 a year just to carry. *Business Credit Cards* – These are meant for business use for business owners. They enable card-holders to keep business and personal transactions separate. *Limited Purpose Cards/Retail Cards* – These are store cards, often used in retail clothing stores for example. They often offer a discount on your first purchase and coupons throughout the year. According to American Eagle Outfitters.com, their card gets you 15% off your first purchase, $10 in savings coupons and a 20% birthday coupon. Depending on the type of card, you may be able to use the retail card at locations other than the one where you received the card. *Affinity Card* – Offers rewards to groups and organizations. A charity may offer a card and receive a portion of the revenue from that card each time the card-holder makes a purchase using that card. 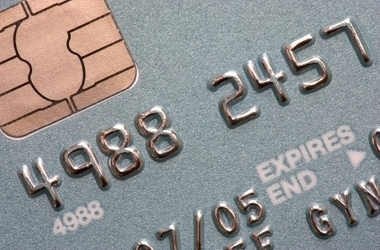 Selecting the right credit card can be crucial when it comes to saving you money. Now that you know there’s different kinds of cards make sure you know what you’re getting before you commit to one. Decide how you’re going to use the card, how frequently and whether you will pay the balance in full at the end of the month or not. Find out the annual percentage rate (APR) - which is the amount you’ll pay in interest charges per year. The annual percentage rate can vary depending on your credit. If you have a good credit rating you will probably choose a card with a low annual percentage rate. If you’ve never had a credit card or have poor credit you will have a higher annual percentage rate. Find out how long the grace period is (how long you have to pay the balance before you’re hit with a fee), what the credit limit is and any additional fees and charges. Doing the legwork ahead of time can save you a lot of money in the end. Don’t fall for credit card scam and free giveaways! Accumulating bad credit in college can impact you for years to come.